Ten years after graduation, Jake “the jock” Campbell and Brandon “the nerd” Bartlett are teaching at their old high school and still living in separate worlds. When Brandon is thrown into a coaching job on Jake’s baseball team, they find themselves learning more about each other than they’d ever expected. High school is all about image – even for the teachers. Brandon and Jake have to get past their preconceived notions to find the friendship needed to work together. And somewhere along the way, they discover that perceptions can always change for the better. I actually really enjoyed this story. I found both characters to be quite complex and both go through a lot of growth through the book. Their relationship is slow to build, but great once it develops. And sure, even though they hadn’t been together all that long in an actual relationship, I believed the feelings because they’d known each other outside of a romantic situation for a while. I will admit that there were times where the book switched between the men’s POVs so quickly it gave me a bit of whiplash. I’m not sure if that was the way it was written or the way the narrator read it. That being said, I have to admit that there were issues I had with the narrator. Like the very audible swallowing. It was incredibly distracting and took away from the story. However, that aside, I felt like he did a good job. All in all a really great book about two men overcoming their differences to find love even if they are from two totally different worlds. Madeleine Urban is a down-home Kentucky girl who’s been writing since she could hold a crayon. Although she has written and published on her own, she truly excels when writing with co-authors. She lives with her husband, who is very supportive of her work, and two canine kids who only allow her to hug them when she has food. She wants to live at Disney World, the home of fairy dust, because she believes that with hard work, a little luck, and beloved family and friends, dreams really can come true. Visit Madeleine’s blog at http://madeleineurban.livejournal.com/. You can contact her at mrs.madeleine.urban@gmail.com. Nov. 17, 2011 – I have made the personal decision to stop writing, for reasons that are important to me, including focusing on my family and my health. Writing and publishing comes with a whole set of expectations and pressures, and I find that it’s just too much. While I am sad that this will upset and/or even anger readers, this is the right decision for me. 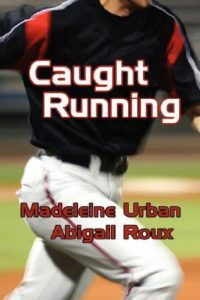 Abigail Roux will be continuing the Ty and Zane series, and I know she’ll do a great job.